The United States Department of Justice (DOJ) presented a wide-ranging indictment charging eight individuals with 13-counts of wire fraud, computer intrusion, aggravated identity theft, and money laundering for allegedly masterminding and operating the 3ve (pronounced “eve”) and Methbot digital ad fraud scams. The DOJ charged the individuals with amassing in upwards of $30 million of fraudulently earned ad revenue from advertisers seeking to place ads on prominent global websites. The defendants allegedly used a server farm and a sophisticated botnet of computers to simulate the delivery of billions of impressions which never appeared on websites or were ever viewed by actual internet users. The accused are Aleksandr Zhukov, Boris Timokhin, Mikhail Andreev, Denis Avdeev, Dmitry Novikov, Sergey Ovsyannikov, Aleksandr Isaev, and Yevgeniy Timchenko. Ovsyannikov was arrested in October 2018 in Malaysia; Zhukov was arrested in November 2018 in Bulgaria; Timchenko was arrested in November 2018 in Estonia, all under provisional arrest warrants issued at the request of the United States. 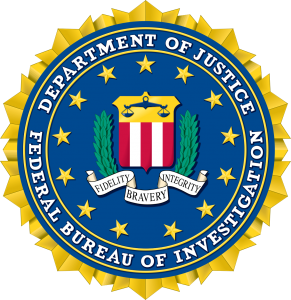 The DOJ indictment also includes seizure warrants authorizing the FBI to take control of Swiss bank accounts, 31 internet domains, as well as search warrants authorizing the FBI to extract information from 89 computer servers which formed the infrastructure of the botnet network of computers which engaged in the digital advertising fraud. 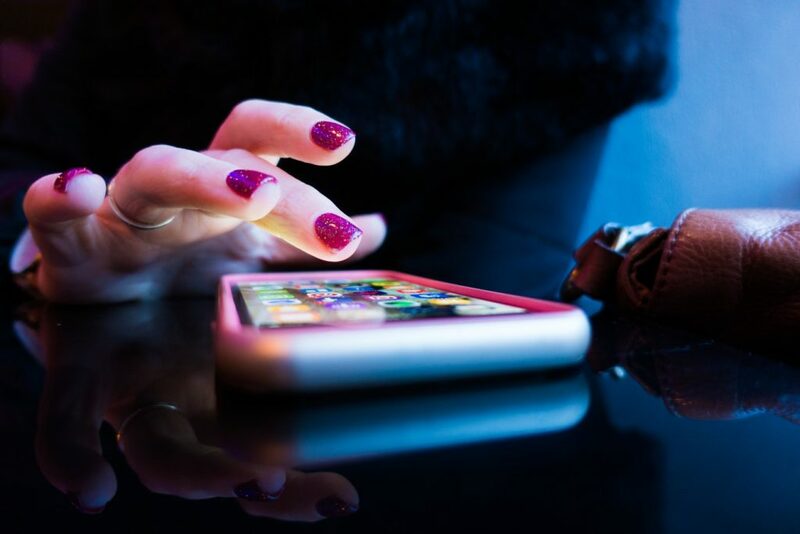 Between the years of 2014 to 2016, the accused individuals operated a purported advertising network (Methbot) to carry out the digital ad fraud operation. The defendants arranged partnerships with global SSPs to place ad tags across their network of websites in exchange for ad revenue payments. Rather than placing the ad tags on actual websites, the defendants instead utilized nearly 2,000 US-based computer servers to load ads onto fake websites by “spoofing” the ad impressions across more than 5,000 domains. In order to create the illusion that actual human beings were interacting with the ads, the accused programmed datacenter servers to simulate internet activity – fake mouse movement, the starting and stopping of video players, and falsely showing users signed into Facebook on the websites. An agency or advertisers looking to purchase inventory on premium websites would see the name of the prominent publishers on the ad exchange even though the site was, in fact, a masquerading as a legitimate version of a website. The bots would then visit the fake site and view the impressed ad to generate revenue. The internet scheme falsified billions of ad impressions and caused defrauded advertisers more than $7 million for ads that were never actually viewed. The defendants leased over 650,000 IP addresses, assigned multiple IP addresses to each datacenter and then fraudulently registered the IP addresses to create the illusion that the datacenter servers were residential computers belonging to internet users subscribers to local internet service providers. In parallel, the accused are purported to have also operated an additional, and more profitable, advertising network (3ve) to carry out another advertising fraud scheme in addition to the Methbot operation. The defendants operated a global botnet of 1.7 million malware-infected computers – each infected with hidden browsers which downloaded fabricated webpages and loaded ads onto these websites. The actual owners of the infected computers were unaware that the ad fraud process was running in the background of their computer. In total, the internet scheme falsified billions of ad impressions and caused defrauded advertisers more than $29 million for ads that were never actually viewed. According to security firm Proofpoint, a vast majority of the millions of infected computers acquired the malware after being tricked by misleading ads shown on websites such as Pornhub.com, which stated that their browser or Adobe Flash required a “critical” update. Industry experts believe that the malware included “anti-forensic” characteristics which prevented it from being detected or removed from infected computers as well as having digital self-awareness not to load itself onto already malware-infected computers which might by association blow their cover upon discovery. 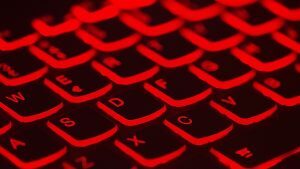 According to Buzzfeed News, Google and WhiteOps partnered together to begin analyzing information about a botnet they were both tracking in the first months of 2017. The bots by design were programmed to visit specific websites in order to generate page views and ad impressions that resulted in ad revenue for the fraudsters. 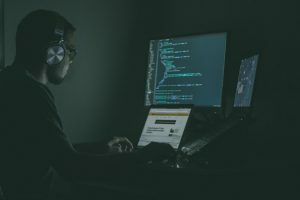 In the following months, the botnet managed to evolve and modify its behavior after measures were taken to filter out the traffic from the advertising systems. By summer 2017, Google and WhiteOps approached industry partners to address the botnet. Industry leaders were leery that the Botnet’s size and power to defraud advertisers would begin eroding confidence, stability, and trust in the entire ad ecosystem. The FBI organized a meeting of digital advertising and cybersecurity experts in August 2017 to build out a robust response to a massive ad fraud scheme which presented an existential risk to the stability of the global digital advertising industry. By October 2018, the FBI, working alongside and briefing its private sector partners, privately informed the group that it was ready to take down 3ve. On Oct. 22, the number of bids for ads submitted to ad systems from sites associated with 3ve went from 375,000 at 12 am to 0 by 6 pm the same day. The FBI killed the 3ve operation in 18 hours. Can You Avoid Getting Scammed by Ad Fraud? According to the World Federation of Advertisers, ad fraud is currently only superseded by the illegal drug trade in annual revenue. In 2018 alone, an estimated USD 19 billion stolen from advertisers and publishers by ad fraud — a staggering figure which mostly contributes to reducing advertiser confidence in the industry. Is there a way to avoid being defrauded by fake inventory? We asked our in-house media buying agency, MediaTraderz, whether it is even possible to avoid purchasing fake inventory. “It is always challenging to be 100% certain that the traffic you are interested in purchasing is indeed legitimate and not fraudulent. In our experience, our first step is to usually look for abnormal behavioral originating from the publisher in order to understand the source of the inventory,” said Gadi Elias, Programmatic Team Leader at MediaTraderz. “When we see unusually low prices for what is usually premium inventory, we tend to view that opportunity with a sense of skepticism and primarily avoid it. Also when we see abnormal volumes of inventory for usually low traffic domains or apps we often use several of the industry’s best fraudulent authentications tools (WhiteOps, ProtectedMedia, and DoubleVerify) as solutions for better understanding what we are seeing on the exchange,” said Elias. With mobile game revenue at an all-time high in 2017, game developers are hurrying to find the perfect balance between user experience and ROI. It takes a lot of money, time, and effort to get the ball rolling and, obviously, the end goal is to make money – not only to cover costs but to make a profit as well. Yes, in-app purchases are a great way to stimulate a revenue stream but with only 5% of app users willing to spend money on in-app features, there is a roof. You want to find that sweet spot between game design and monetization so that your users will return and you can keep the lights on. I love pop-up ads…. said no user ever. You’ve developed a game you know users will love and you would hate to see your hard work go to waste because of intrusive ads. One misplaced ad during an epic battle moment or a prize reveal could cost you a user and, at the rate gaming apps are being downloaded for iOS and Android, this could mean even thousands more. Avoid annoying your users by becoming familiar with less-intrusive ad formats and designing your game accordingly, so that you won’t be that game. Love the player and the game. About as close to sweet spot as it gets, rewarded video is a win-win situation for both you and your users, and, not to mention, for advertisers (win-win-win?). Reach the 95% of non-paying users by offering them in-app currency for watching video ads. This way, your user gets “free” currency while you and your advertisers make real money. You can play around with the placement: pre-gameplay, mid-gameplay, or post-gameplay. Just make sure that your gamer isn’t in the middle of finally finding out what’s over the wall. Who said that UX and ROI need to come at the expense of one another? You play the field while they play the game. User experience doesn’t stop at ad placement and timing. Contextual targeting is critical for maximizing your ad earning. You can target different users by considering keywords, time, and specific messages – basically finding a way to connect with them through user experience. By working with multiple ad networks, you can ensure suitable ads for all your users and make things less “spammy”. Different ad networks will offer diverse eCPMs – the more suitable the ad request for your users, the higher the eCPM and the more money you can make. Here’s a thought – designing your game with the ads in mind. This is a great way to ensure natural integration of advertisements and smooth user experience. By leveraging art and animations into the game itself, you can tie ads into the storyline of the game – more of an inception, if you will. Ad earnings will increase with better visibility and user engagement. If you haven’t designed it yet, make sure you consider a premium model of your game. A free version attracts more users and is more effective for long-term user acquisition than paid games. However, by leveraging in-app purchases for temporary upgrades, your loyal users may eventually want a premium version of the game and will be willing to pay to have certain permanent features. If not, they will still stick around for the free version. Analytics and data are helpful for game developers to better understand their users. You can see metrics such as what kind of users the game is attracting, how long they play, and what features they like most. This is great for tweaks, adjustments, and overall user satisfaction. Using data and analytics to funnel your users’ willingness to pay is a clever way to increase ad revenue. For example, if native or video ads are causing users to leave the app, consider analyzing user data and showing ads once players reach a particular level or after a certain amount of time spent playing. More likely than not, these users like the game by this point and won’t be scared off by ads. Google has officially enabled its new built-in ad blocker in Chrome today (February 15, 2018) which will automatically remove unacceptable ads and popups from websites across the web. The ad blocking tool empowers the browser to exclude specific types of ads, which as a result will motivate website owners to stop using them. According to the Wall Street Journal, Google calls the pre-installed and enabled plugin as an “ad filter,” rather than an ad blocker, for preventing non-compliant advertisements from loading during a user website experience. Google has adopted a three-step process for evaluating websites. First, informing the sites of the non-compliancy, and then giving an opportunity to the websites to correct the instances prior to eventually enforcing an ad block. Google’s evaluation is based on the Better Ads standards and then scoring the website based on a pass, warning or fail rating system. Google has given website owners the ability to access the evaluations via an API, in addition to allowing for sites to be re-reviewed after rectifying flagged ads after a review. If a website has been rated as having violations and the owner does not respond or act upon Google’s recommendations for addressing the violations, then Chrome will begin blocking ads from the website after 30 days. To assist publishers for preparing for the introduction of the plugin, Google has released a self-service tool called “Ad Experience Reports,” which notifies publishers of the current instances of non-compliant advertisements on their website alongside solutions for removing the known issues. In a post published on Google’s official blog, Sridhar Ramaswamy, Senior VP for Ads & Commerce at Google, said that the reason for introducing measures to combat ad blocking was meant to assist and ensure publishers continue earning revenue in Chrome despite the prevalence of widespread adoption of 3rd party blocking software. The ad blocker is placed in Chrome’s address bar on desktop and on through a notification on mobile near the bottom of the page that informs the user that ads have been blocked. Users of both desktop and mobile versions of Chrome will have the option to allow ads to be shown on site’s where ads have been blocked. Based on the growing popularity of ad blocking plugins and the staggering impact they have caused to publisher revenue over the past few years, it’s logical that Chrome, the internet’s most used browser, would have to eventually take bold steps to address the growing ad blocking issue in Chrome. Google is offering assurances that the Chrome tool will not be limited to only blocking ads from non-Google demand sources, meaning that the extension will also block non-compliant ads originating from Google’s programmatic sources. Despite Google’s assertion of neutrality, it still remains to be seen whether the actions of the Chrome tool will adversely affect publishers’ revenue, their ability to monetize as they deem fit, as well as the reality that the tool may have the absolute power to weaken Google’s programmatic competition by blocking ads in a widespread manner inside all versions of Chrome. Publishers are estimated to be losing in upwards of $1.3B a year as a result of third party sellers fraudulently impersonating publisher inventory on global ad exchanges according to new study published by Google. Google believes that certain nefarious actors are submitting in upwards of 700M false ad requests per day, which as a result causes publishers to lose significant amounts of revenue every day. The December 12 report states that publishers are losing up to $3.5M per day based on a $5 video CPM evaluation. The report was composed in concert with notable publishers such as Business Insider, The New York Times, The Washington Post in addition to AdTech specialists Amobee and Quantcast. The act of counterfeiting impressions occurs most frequently when a seller switches the URL of a high-quality site with that of a low-quality publisher or when the seller produces fake impressions and then repackages them with the URL of a high-traffic publisher. In either of the aforementioned scenarios the seller then presents the fake inventory to the world’s ad exchanges and supply-side platforms (SSPs), obviously without the premium publisher’s knowledge, with the intent to fool advertisers into thinking that they are buying premium inventory. Despite the heavy financial pounding publishers have taken, Google believes that Ads.txt is just the solution in order to fight back against the unchecked fraud that has taken place. Within the study the authors managed to identify roughly 1000 accounts in more than 24 marketplaces offering counterfeit advertising inventory. As a result, the accounts were terminated, thus reducing available inventory and raising prices for authorized advertising buys. Throughout 2017, Google has promoted Ads.txt as the best means for ensuring transparency and increasing brand safety for publishers and advertisers. In short, Ads.txt works by allowing publishers put a file on their server that says exactly which companies they sell their inventory through. The file lists partners by name, but also includes the publisher’s account ID. This is the same ID buyers see in a bid request, which they can use as a key for campaign targeting. Buyers use a web crawler to download all the ads.txt files and the information contained within on a regular basis and use it to target their campaigns. This means buyers know that if they bid on request that comes from an authorized ID, it’s coming from a source the publisher trusts or has control over. As of early December 2017, nearly 50% of the world’s top 2,000 websites have already added Ads.txt onto their websites.